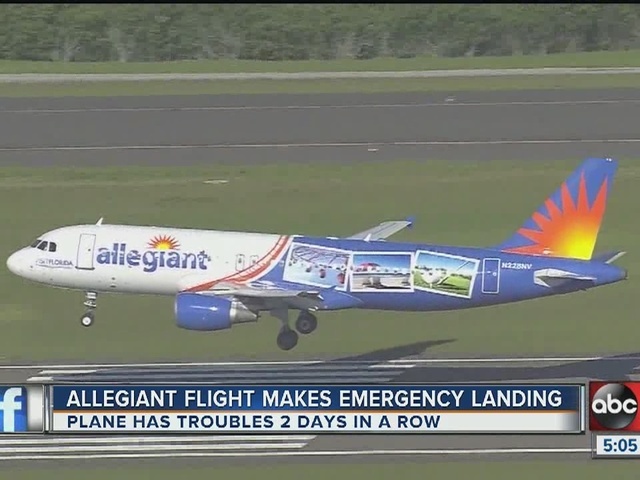 An Allegiant flight that made an emergency landing Thursday at St. Petersburg / Clearwater airport (PIE) in Florida is the same plane that experienced issues a day before. Allegiant Flight 844 landed safely at 9 a.m. Thursday. It was headed to Stewart International Airport in New York from the St. Petersburg Clearwater Airport. The plane, aircraft 228NV, experienced an issue Wednesday while flying into St. Petersburg from Moline, Illinois. It also made an emergency landing. 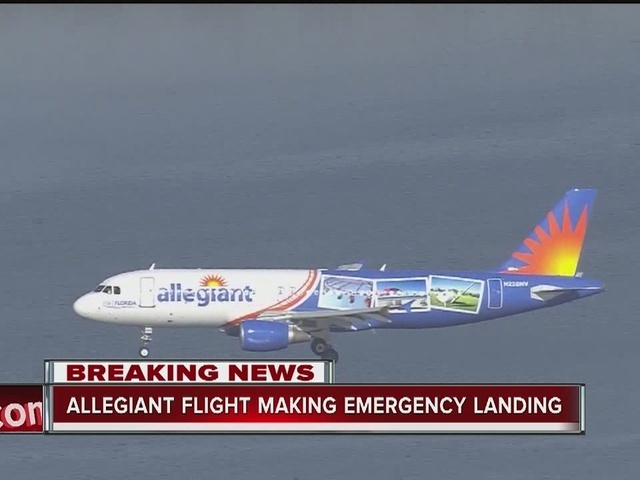 Allegiant tells ABC Action News that the issue on Wednesday was related to a problem with a hydraulics system. The airline, which does its most business at PIE, said the problem was "repaired, inspected, and cleared" by the FAA. An airline spokesperson described Thursday's incident as a "mechanical issue" but would not be more specific, citing the need for a thorough review. Passengers of Flight 844 on Thursday quickly boarded a differently plane and eventually made the trip safely to New York. 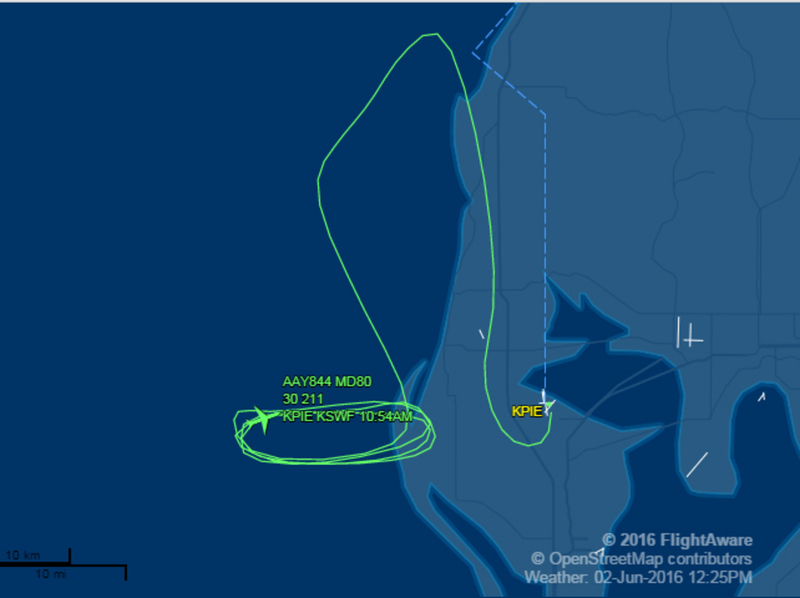 Check out the flight path as the plane circled Thursday over the gulf. You can see where the plane turned after being mid-air for about 30 minutes. Reports indicate the flight crew was burning off fuel before landing.